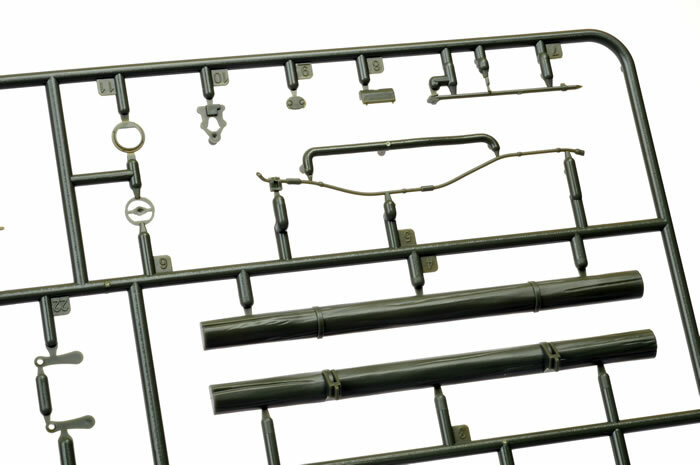 Media and Contents: 475 parts in dark green coloured plastic, 576 plastic parts, a further 320 parts in flexible black plastic, 13 parts in clear, 10 parts on three photo-etched frets, a set of polythene caps, three tan coloured flexible vinyl parts, a length of string and markings for a wide variety of T-90s in service. 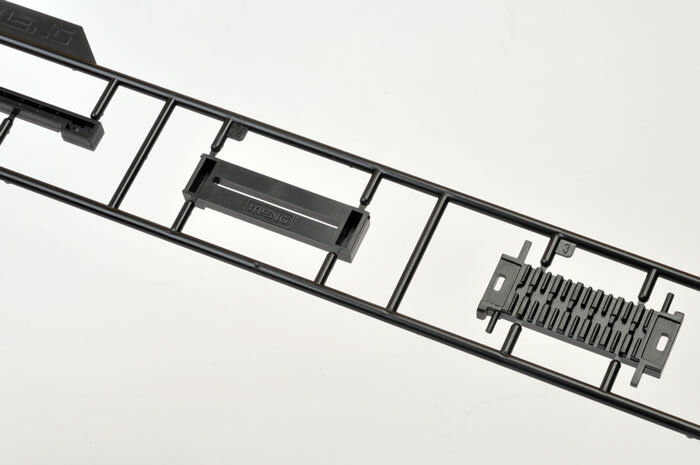 Advantages: High level of detail; convincing surface textures; excellent mouding quality; separate link high quality workable tracks. 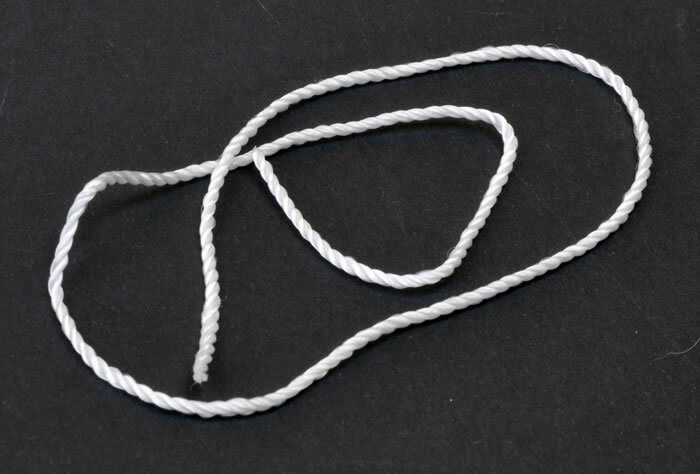 Disadvantages: Patience will be required for the tracks. 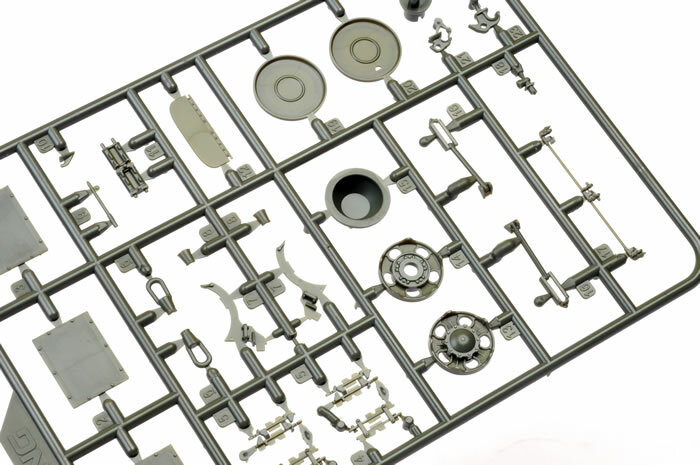 Recommendation: This is a truly state-of-the-art kit with remarkable detail. Meng is certainly carving a niche for itself! Highly Recommended. 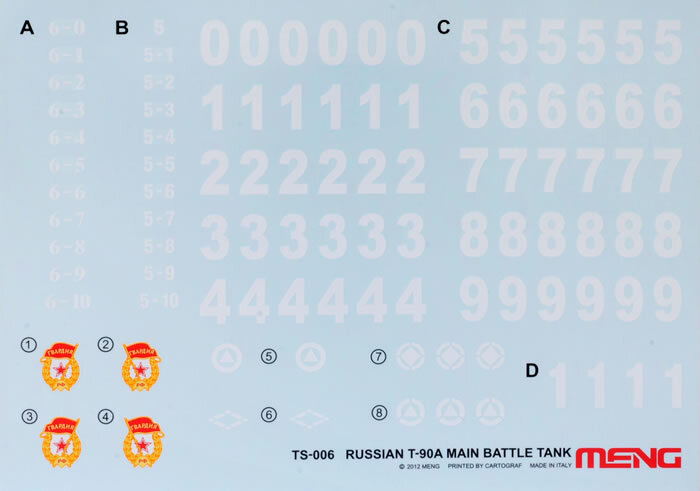 The T-90 Russian Main Battle Tank is a logical development of the long-serving T-72 family. The new vehicle was developed in 1989 by the Uralvagonzavod Design Bureau at Nizhni Tagil, and the title “T-90” was allocated in 1993. The 125mm smooth bore 2A46M main gun can handle a variety of shells and also laser-guided missiles with an impressive rate of fire of 7-8 shots per minute. 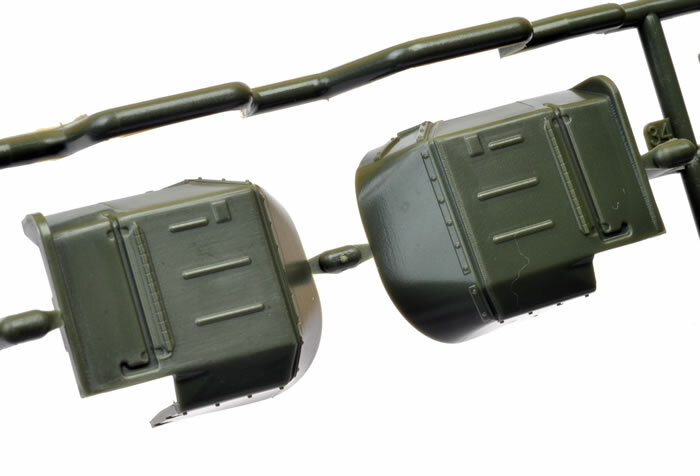 The T-90 is capable of engaging ground targets or low-flying aircraft and helicopters. In fact, it is claimed that the T-90’s gun could destroy most modern tanks before it was in range of its adversary itself. The tank is also fitted with the latest optics and electronic countermeasures including Shtora-1. 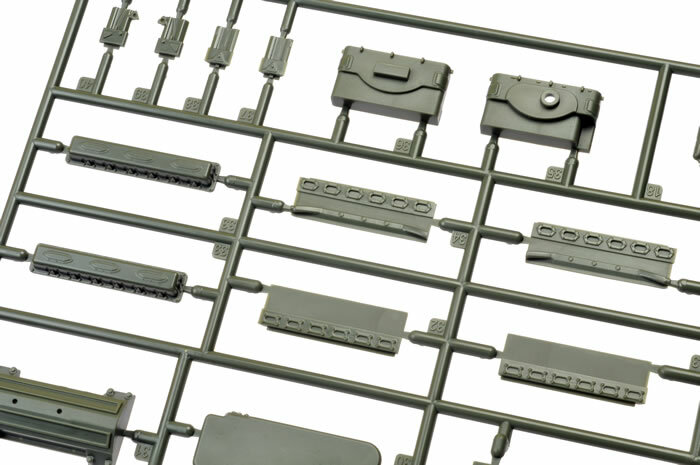 The explosive reactive armour gives the T-90 a distinctive look, but its T-72 heritage is unmistakable from almost every angle. 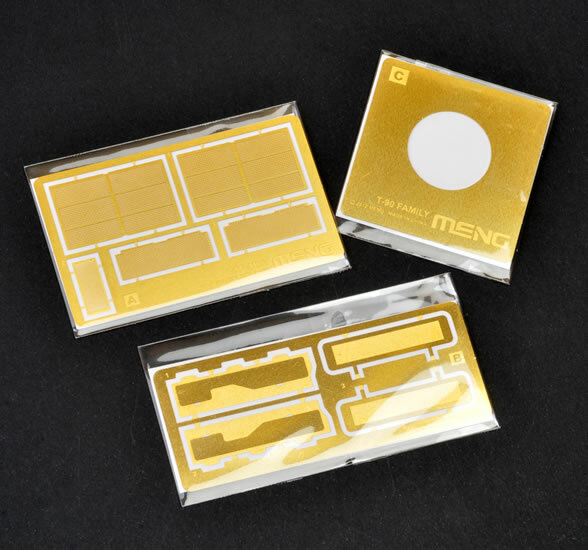 Meng burst onto the scene relatively recently and has been wowing us with every new release. 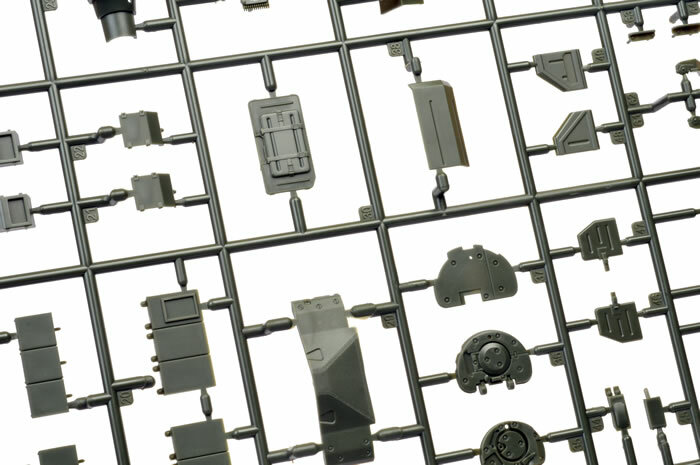 Their all-new 1:35 scale T-90 continues the trend of quality models. 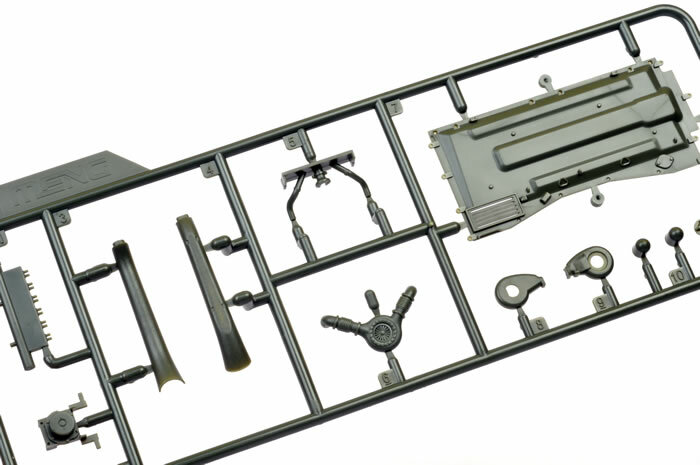 Meng’s 1:35 scale T-90 comprises 475 parts in dark green coloured plastic, 576 plastic parts, a further 320 parts in flexible black plastic, 13 parts in clear, 10 parts on three photo-etched frets, a set of polythene caps, three tan coloured flexible vinyl parts, a length of string and markings for a wide variety of T-90s in service. 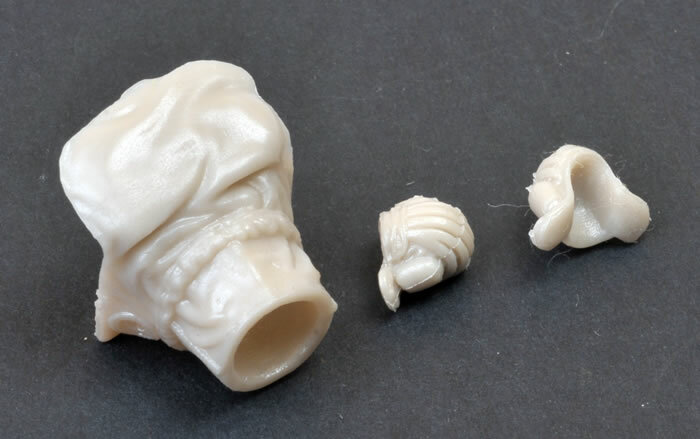 Moulding quality is first rate, and detail, both moulded in place and via smaller parts, is excellent. 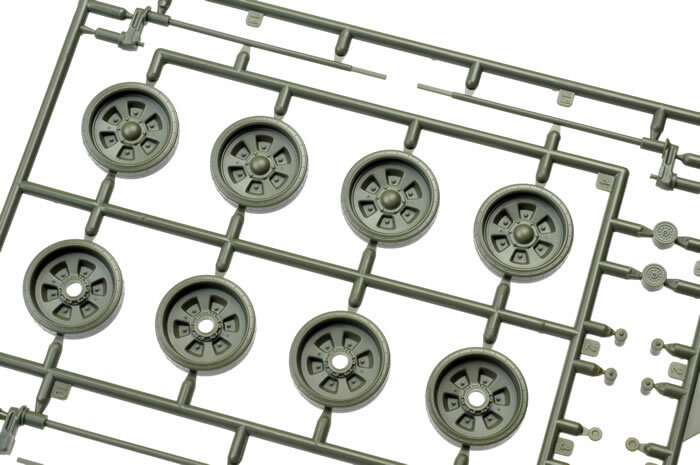 Construction commences with the road wheels – which feature solid plastic tyres moulded in pace – lower hull and running gear. 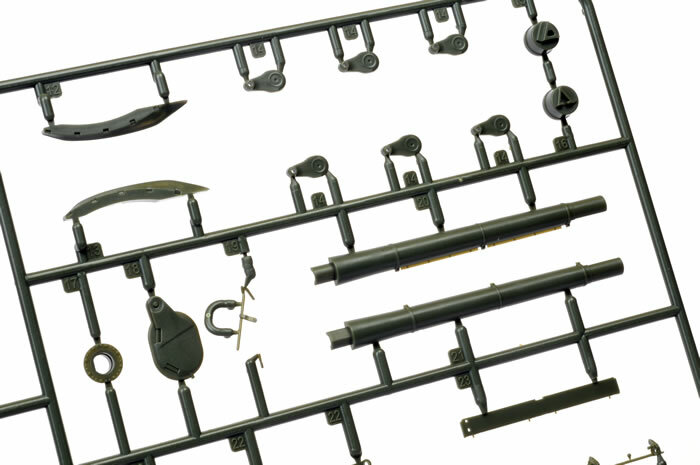 The suspension is made up from working plastic torsion bars, onto which the wheels are fitted via polythene caps. The idler arm is offset, allowing some adjustment if you wish. The tracks come next. These are amongst the most original and detailed tracks that I have ever seen. 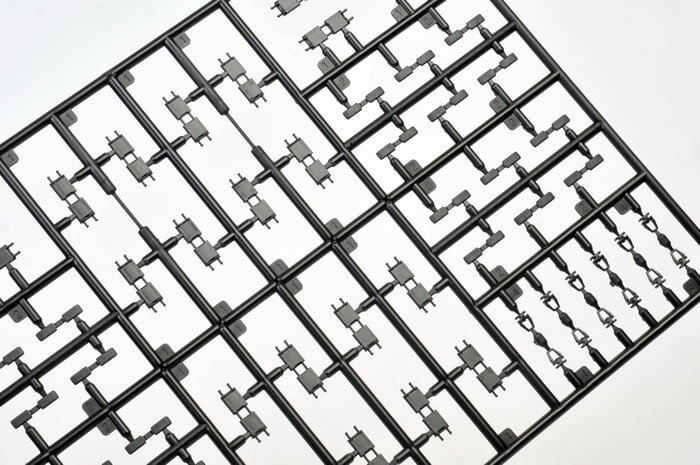 Each link is made up from five parts – three in hard plastic and two end connectors in a flexible material. 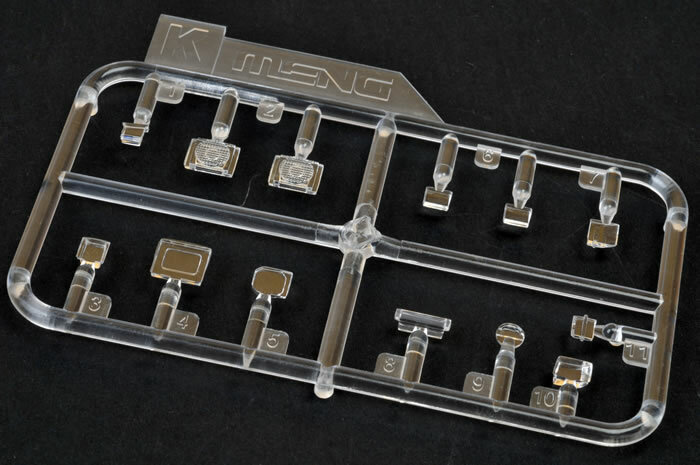 Of these, only the track pads are glued. 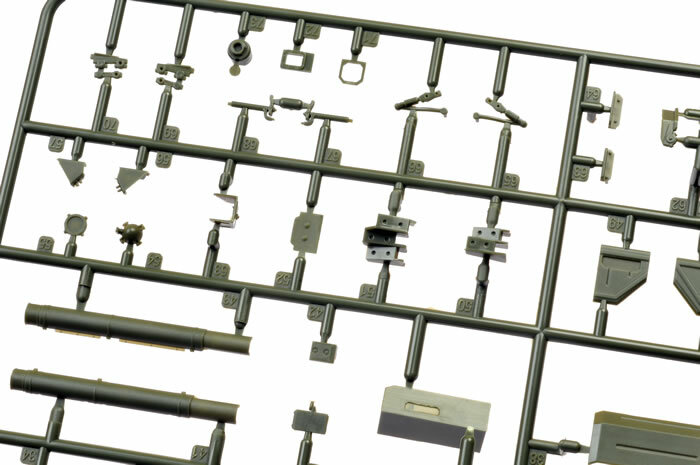 Everything else is slid into place or formed with the assistance of no less than four separate assembly jigs. 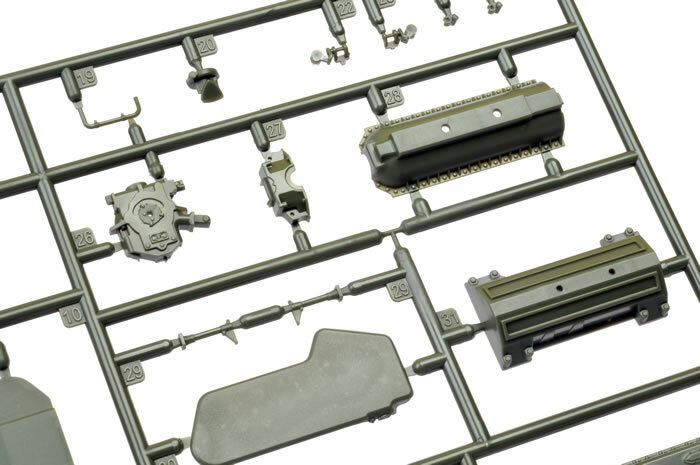 The tracks will undoubtedly be the most challenging aspect of the build - in fact they make up more than 75% of the total parts in the kit - so be prepared to test out the process thoroughly before you start your plastic track assembly line. 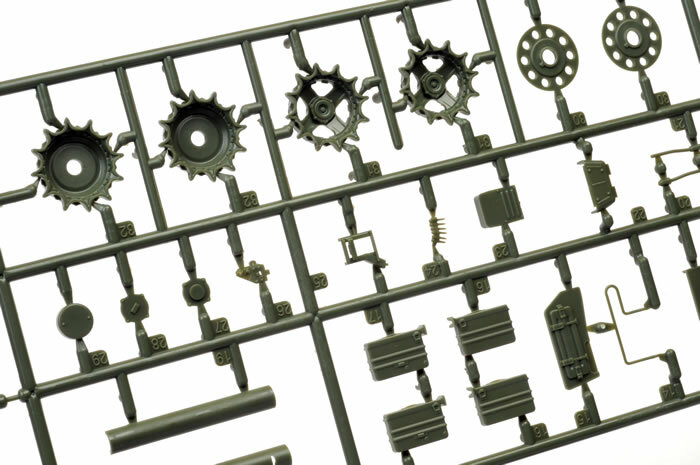 In the end, you will have a set of tracks with remarkable detail that are fully workable. 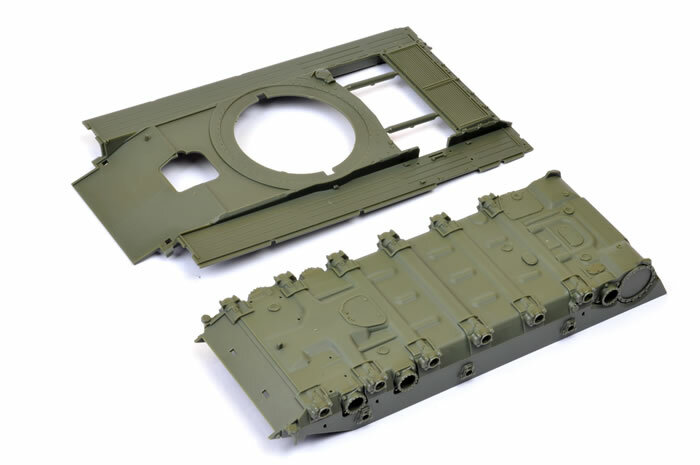 Meng has also included an engine and a basic engine bay. 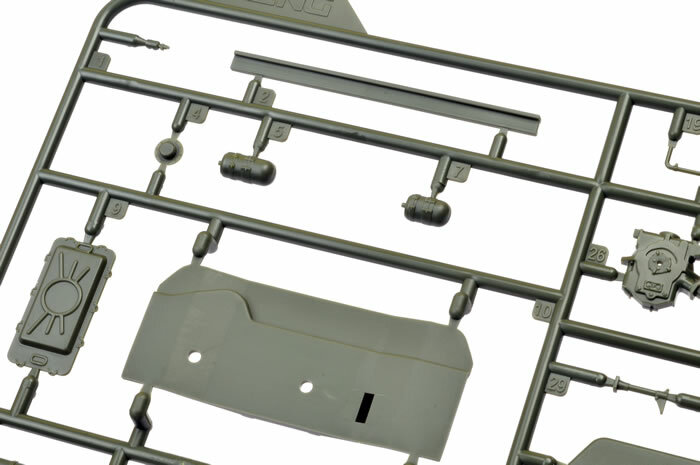 The engine is crisply detailed and a nice touch, whether you are only going to view it through the mesh and vents, or if you plan to display it more prominently. 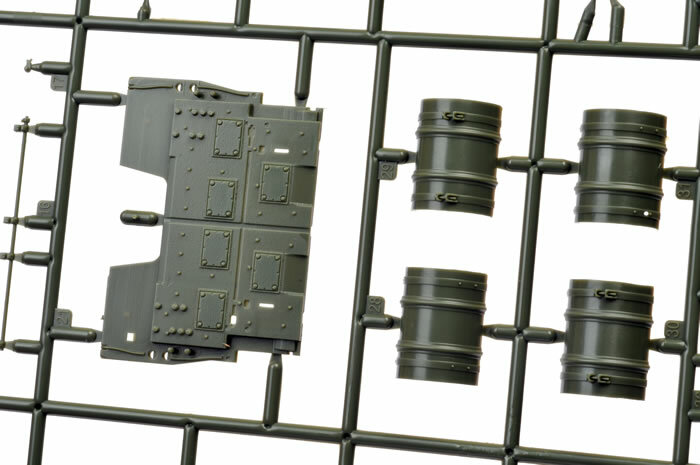 The engine deck is further enhanced with photo-etched mesh grilles. 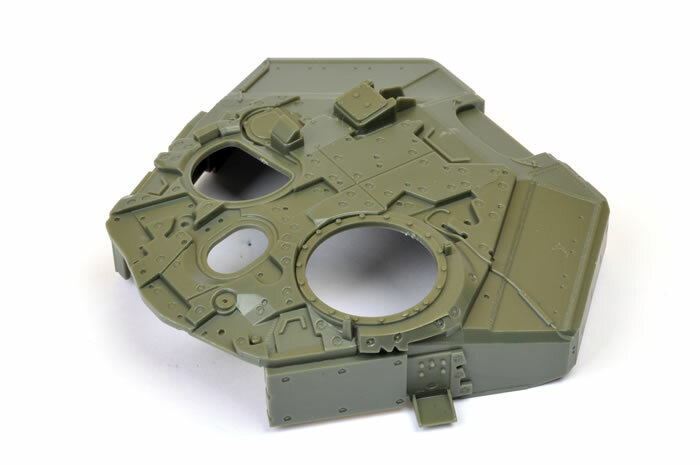 The hull, skirts and turret are made up from layers that should look very impressive and busy when finished. The big rear fuel drums include all the necessary plumbing and pipework. 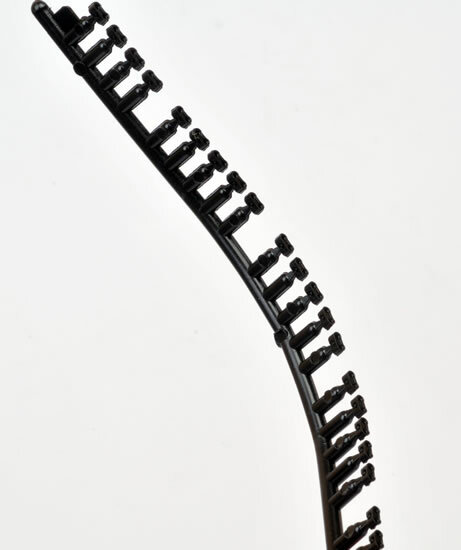 The gun barrel is plastic, and made up from seven separate pieces. I’m sure it won’t be long until we see some turned metal replacements available. 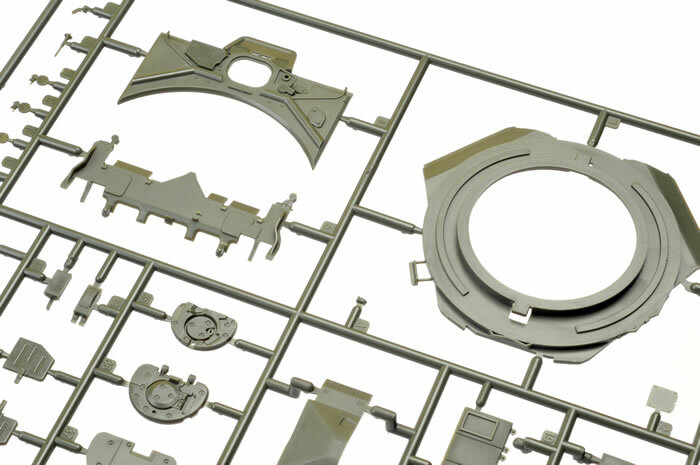 The turret’s characteristic IR Shtora lights are made up from a combination of clear and solid parts, and should also look great when assembled. 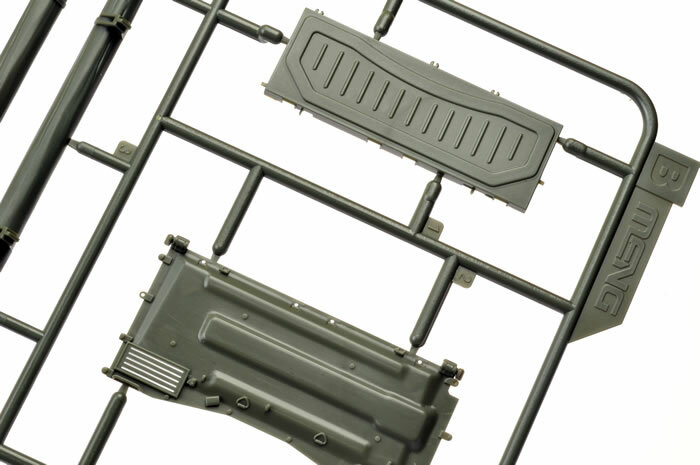 The mantlet is a two-part plastic assembly with a nicely textured flexible vinyl cover that is fixed into position. Two flexible tanker's helmets are included too. 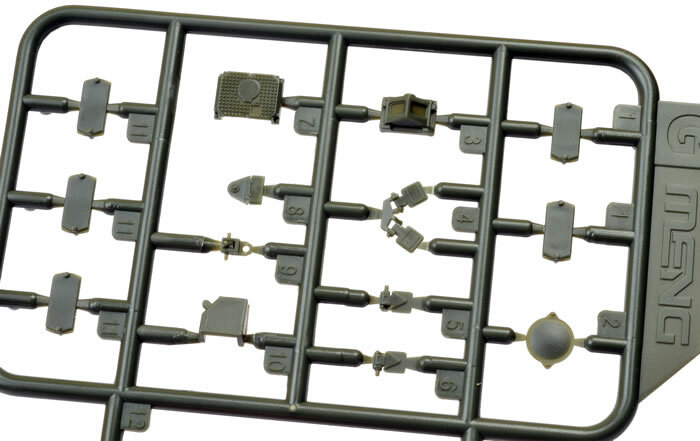 The Commander’s cupola features interior sight detail, and the DShK heavy machine gun looks great too. Instructions are presented in a glossy 22 page booklet, with construction covered in 43 steps via clear drawings and labels. 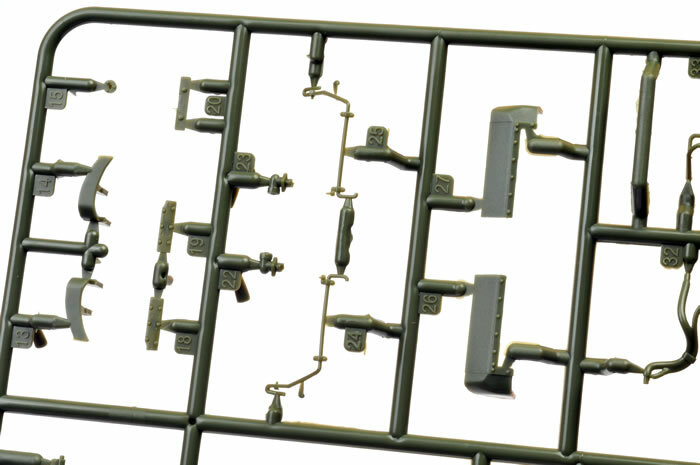 The markings include generic numbers to permit a very wide range of vehicles to be modelled straight from the box. 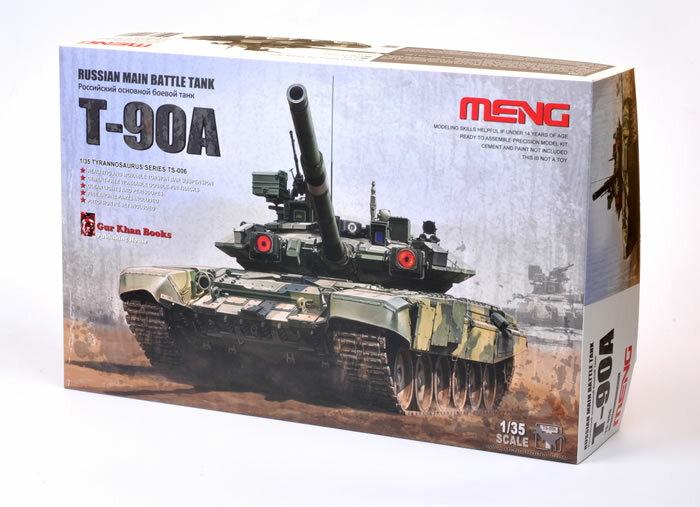 The word “awesome” is heavily overused these days, but the description is totally applicable to Meng’s 1:35 scale T-90. The contents and detail are quite awe inspiring. 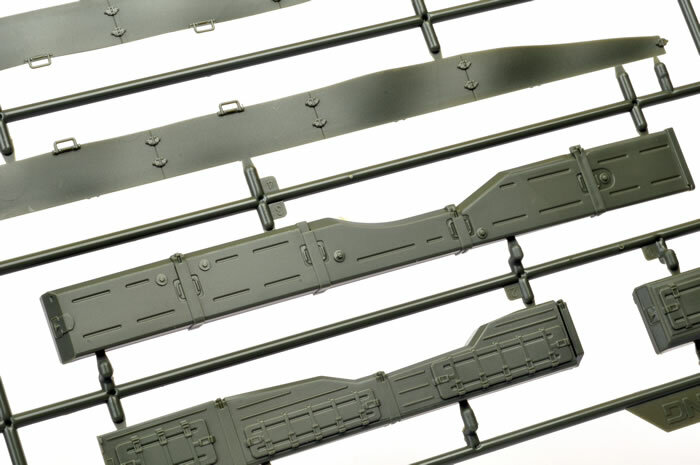 The tracks might look a bit scary, but the jigs included should speed up their construction. 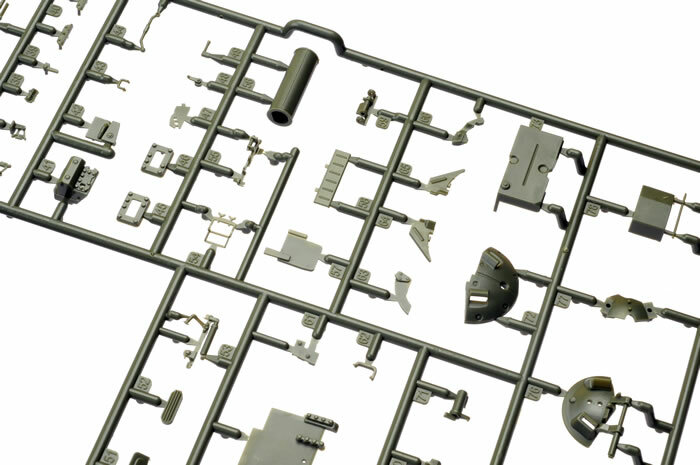 This is a truly state-of-the-art kit with remarkable detail. Meng is certainly carving a niche for itself!